Commercial buildings all have windows that need upkeep to look and operate at optimum levels. Replacing wood windowsills with marble can improve the looks of windows and cut down on maintenance costs. Contractors in the process of new construction or remodeling existing buildings can add considerable money to their earnings by suggesting new marble windowsills. 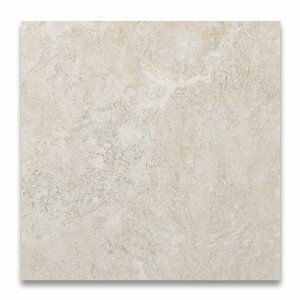 Flooring stores can increase their sales by carrying top quality natural stone and Durango Cream Travertine Window Sills. Durango Cream Travertine Window Sill installation is an easy job. The material is shipped in standard window sizes, so cutting is not needed. If the quantities are large enough, special sizes can be manufactured and shipped. There are installation instructions and videos available on the Internet. Travertine is a stone product that is very durable. Stone products add value and appeal in this highly competitive real estate market. Wood can expand and shrink as it absorbs moisture or dries out, but travertine, once sealed, does not absorb water, expand or contract. Travertine like other stone products is hypoallergenic. Each piece is unique and adds ageless beauty to the building it is used in. Stone is easy to disinfect and will not hold dander, pollen, bacteria or allergens, so it is a healthy choice. Travertine in non absorbent and easy to clean and care for. Durango Cream Travertine Window sill Installation can match or coordinate with many stone and ceramic tile floors, walls and counters. We as Stonexchange are a well respected company selling natural stone flooring and accessories. We specialize in Marble Window Sills and Thresholds in the United States. We have a large well stocked distribution center in Miami, Florida, that can ship quickly all over the United States. We sell only wholesale to dealers around the country. We do not sell direct to homeowners, but give homeowners the address of the nearest dealer. This assures each dealer a steady stream of customers for the natural stone window sills and thresholds we carry. Wholesale pricing gives the dealers an edge in bidding on commercial building and remodeling jobs using natural stone products. Who Can Be a Stonexchange Dealer? Flooring stores, interior design and architectural companies, flooring, building and remodeling contractors and natural stone product suppliers can be Stonexchange dealers if they are large enough to purchase by the crate or the full container. If you are one of these businesses and need a dependable supplier of wholesale marble, natural stone or travertine window sills, you should consider becoming a Stonexchange dealer. We own and operate overseas quarries with affiliated stone factories, along with shipping companies, who quarry natural stone and turn it into flooring and tile products, as well as window sills and thresholds. Our distribution facility in Miami, Florida is 18,000 square feet and is always well stocked with the five colors of prefabricated window sills and thresholds in many standard window and door sizes. You will get your stock orders much faster than the 2 to 3 months ordering from overseas companies. We have designed our Miami facility to be able to fill any order from one crate to multiple full containers. No job is too big. We have very competitive pricing, many times better than ordering from overseas. Immediate shipping and fast, dependable delivery make this the company to depend on. We have found that these five stones and colors meet the most needs of our dealers. Durango Cream Travertine Window Sills. This popular travertine window sill and threshold choice works with most travertine projects and many ceramic tile installations. Nuevo White Carrara Window Sills–the ultimate neutral choice –white goes with most stone and ceramic choices of flooring. Crema Sahara Marfil Window Sills and Thresholds are the perfect choice to coordinate with beige and tan natural stone and ceramic flooring installations. Absolute Black Granite Window Sills and Thresholds are a dramatic choice for contemporary interiors, or to go with stone and ceramic flooring featuring black and grey tones. Pure White Engineered Stone Window Sills are a good budget friendly choice to go with all floor choices featuring white. They can also be used as the perfect neutral to use with any decor. All of these choices come in many standard sizes and finishes, and are stocked in large quantities so a shipment for stock request, multiple family housing projects, commercial buildings or hotel construction or remodeling is never a problem. In most cases immediate shipment of finest quality product is standard procedure. Though we, as Stonexchange, are a company specializing in prefabricated natural stone window sills and thresholds, we do have the ability and willingness to manufacture special sizes and colors of product if minimum purchasing quantities are met by a project. We do not charge extra for these special orders. Contractors as well as other dealers, can add to their income by offering expert installation services for the natural stone, marble and travertine window sills and thresholds we sell. Installation is not difficult for anyone trained in stone or ceramic flooring installation. There are installation Videos and tips available from us and on the Internet. If you want to increase your business, consider adding natural stone, marble and travertine window sills and thresholds to your inventory. Stone window sills and thresholds make any stone or ceramic job look more finished and professional. Commercial remodel jobs often include a lot of windows with damaged wood windowsills that could be replaced with marble or travertine. Natural stone windowsills will require less upkeep and last longer for the commercial customer. If you are considering adding these natural stone products to your inventory, make sure you purchase them from a dependable wholesaler like Stonexchange. Purchasing natural stone products from a company with a distribution center right in this country is a huge advantage. You get product sooner and with less problems. If you like the natural stone and Durango Cream Travertine Window Sills and Thresholds, you may want to purchase other natural stone products from us. We carry a full line of natural stone floor tiles in marble, travertine, granite, slate, mosaic patterns and all the accessories to go with them. Be sure to contact us at www.windowsills.com to request information on becoming a dealer of natural stone window sills and thresholds and get an inventory list of all the other products that are available. You can have all your questions answered and request a brochure to help you decide on becoming a dealer.